The Internal Affairs Ministry estimates that the total population, including foreign residents, stood at about 126.4 million as of last October. The figure marked a drop for the eighth consecutive year. The decline of 263,000 -- or 0.21 percent -- is the largest on record. 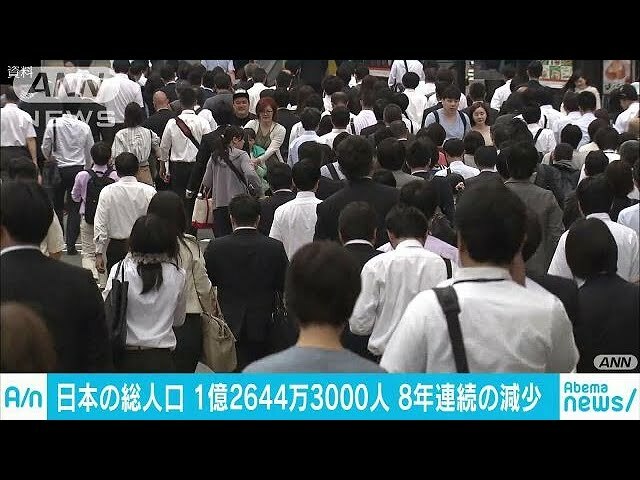 Japan's population peaked in 2008. The working-age population, or those aged 15 to 64, was about 75.4 million. This age group accounted for about 60 percent of the population, tying the record low set in 1950 during the post-war period. The population of people aged 65 or older stood at 35.5 million. They accounted for about 28 percent of the total-- a record high. More than half of this age group were 75 or older. The population of children younger than 15 totaled 15.4 million, and their proportion fell to 12 percent -- the lowest on record. 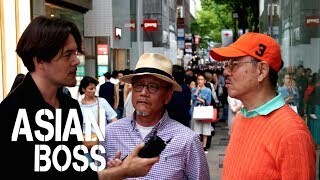 The number of foreign residents living in Japan for three months or longer stood at about 2.2 million, marking an increase for the sixth consecutive year.